Learn how to create streamlined Scrum project plans with Smartsheet. Scrum is part of the Agile family, and is one of the most popular frameworks for implementing Agile. In Scrum, products are created in short iterations, known as sprints, that provide a solid plan towards how software is developed. We’ve compiled a detailed overview of Scrum including Scrum methodology templates, detailed lists of Scrum sprints, planning, and roles, and articles detailing best practice uses for Scrum as a project management methodology. Learn about the advantages and disadvantages of Scrum, as well as when to use Scrum over other project management structures. Scrum is a management framework that leverages incremental processes included in a larger framework that use cross-functional teams to meet goals and adapt to changes. Scrum aims to establish small pieces of a release faster than focusing on all of the smaller steps taking place within each iteration or sprint. This type of project management results in a greater responsiveness to customers, lower costs of development, job satisfaction, and more immediate returns. Scrum is not a linear process, but rather, a fluid practice that takes many moving parts, teams, and goals into consideration as it progresses. 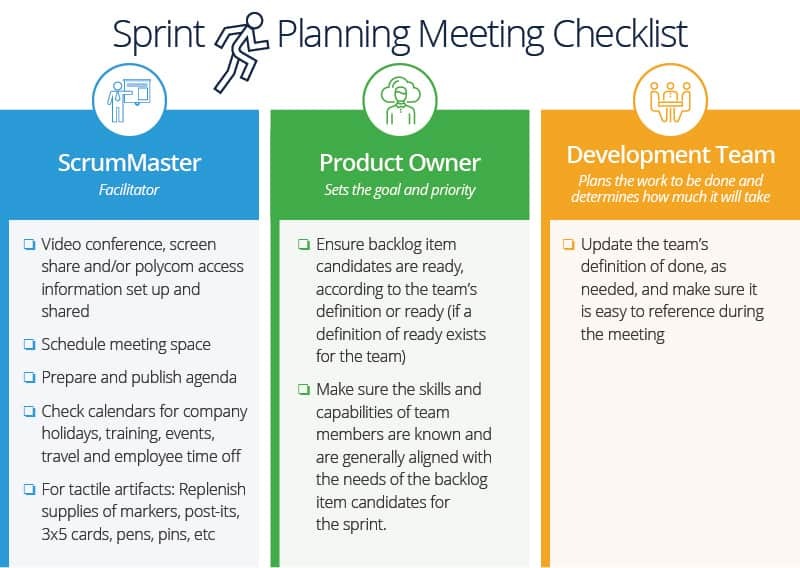 Additionally, Scrum relies on four ceremonies to provide targeted structure to each sprint: sprint planning, daily stand-up, sprint demo, and sprint retrospective. Scrum designates specific roles within its framework, making it a highly prescriptive yet largely efficient process. Scrum is successful because it relies on a project management framework that leverages self-organizing teams focused on delivering complete products after fixed time frames, also known as iterations or sprints. The structure consists of roles, meetings, rules, and artifacts. These sprints are usually one to two weeks long, and at the end of each sprint, regular meetings are held with stakeholders and team members to debrief, reassess, and plan next steps. During the sprint, teams use visuals, like tasks boards or burndown charts, to chart progress and review feedback. Product owners, the development team, and the Scrum Master are the three key roles in the process. Together, this comprehensive team works to design, manage, and communicate to key stakeholders and team members. These teams hold four types of Scrum meetings that aid in the progression and eventual completion of each product. Sprint Planning: Everyone on the Scrum team attends the sprint planning meeting. At this meeting, the product is presented and everyone is encouraged to voice their concerns and opinions. Priorities are also presented and time estimations are made. Daily Scrum Meeting: This meeting takes place daily throughout the duration of a sprint. The point of this meeting is to debrief with the team and establish a daily plan for the development progress. At this meeting, obstacles and concerns are addressed by any member of the Scrum team. Sprint Review: The sprint review is a check-up of the working product developed during the sprint. This meeting is held at the end of the sprint and is used to provide transparency for the stakeholders, giving them a detailed look at what was accomplished during the short iteration. Sprint Retrospective: The sprint retrospective is an end-of-life meeting to discuss how the team performed during the sprint. It is also a time to establish how to improve performance in the future. Product Owner: This person is the most knowledgeable of the team, possessing a thorough understanding of the product’s business value. 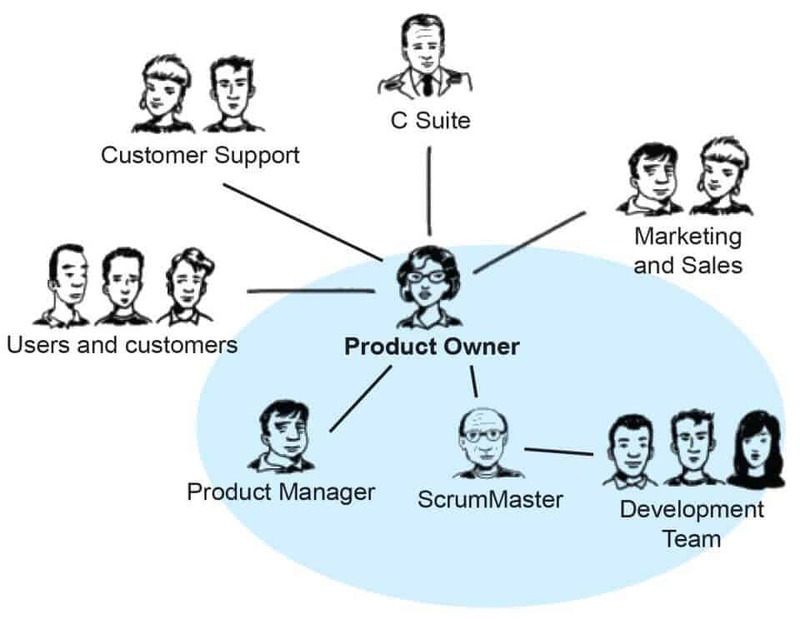 The product owner is the middleman who communicates the customer and stakeholder needs to the development team. They are also tasked with writing the user stories and prioritizing them. However, this person is not responsible for the technical development of the product. Development Team: The development team performs the technical development of the product. In total, this team is responsible for the analysis, design, writing of code, testing, and technical communication based on the user stories provided by the Product Owner. Scrum Master: The Scrum Master assists in the progress of the Scrum team. They work hand-in-hand with the Product Owner and the development team to streamline approaches and eliminate distractions. Any communication to the development team from non-team members comes through the Scrum Master. When performed effectively, Scrum practices are extremely effective at managing and achieving goals that remain fluid throughout the process. Scrum artifacts are also used to represent the work that goes into completing a particular project or sprint, offering transparency into the product details. Product Backlogs: This backlog details everything that must be completed within a project, both technical and user-centric. Sprint Backlogs: The list of all the tasks to be completed during one sprint iteration. These are produced during the sprint planning meeting. Burndown Charts: The remaining effort needed to successfully complete the tasks listed in the sprint backlogs. This chart helps to determine an efficient way to overcome obstacles and meet goals. User stories: A user story describes a piece of software, or a feature of software, from the customer’s perspective. These stories detail the specific variables they want included in their software including type of user, what they want, and why they want it. User stories are utilized by the development team to create code that will reflect the wants of the customer. Timeboxes: A timebox is a predetermined period of time where a team works towards the completion of a goal. The timebox approach stops work when the time limit is reached, halting work when time is up, not necessarily when it is completed. Time-boxed iterations are often used during Scrum to analyze progress and reset goals. Increased transparency and project visibility: Daily meetings, routine check-ins, and defined roles allow insight into the project across teams, eliminating problems and misunderstandings. Any issues are identified before they come to fruition and cause delays, keeping time in check and processes in motion. Accountability across teams: The team collectively decides the work that can be done in each sprint, and any concerns or opinions are encouraged throughout each step. There is no singular project manager directing the team or siloing jobs, meaning increased collaboration and empowerment across team members. Additional room for changes: Because of the short iterations and constant feedback, changes are easily accommodated. Consistent reflection on sprints and work execution allow for refinement during the Scrum meetings. Savings in cost: All issues and changes are visible and communicated as soon as they arise, helping to lower expenses and increase the quality of products across the board. Because sprints are short and processes are broken down, mistakes can be fixed in a timely fashion. Scope creep: With change encouraged so openly and goals remaining so fluid, scope creep can become a real problem. Stakeholders often attempt to add more functionality, changing the process and goals rapidly and regularly. Large teams are hard to manage: Scrum is specifically designed for small teams. The processes, roles, and artifacts are created with small teams in mind. Team requires experience and commitment: Because scrum teams are small and all the roles are not neatly defined, the team needs to be familiar with all Scrum and all of its principles in order to succeed. Team members who lack technical knowledge or commitment present problems for the team and its goals. Scrum Masters must be extremely knowledgeable: The wrong Scrum Master can result in a failed product. If the Scrum Master attempts to control the team as opposed to oversee them and trust them, the project will fail and the entirety of the scrum process will not work. Undefined tasks can lead to inaccuracies: If the tasks that are created during meetings are not accurately defined, project timelines and costs will also reflect that inaccuracy. Planning becomes more difficult and sprints can take more time if initial goals and task lists are unclear. Scrum is best used in a project that is meant to be easy and flexible, but also is defined enough to achieve goals and hit targets that the customer or stakeholder designates. Scrum is defined by sprints, so it is best leveraged in a project that benefits from the constant re-evaluation of goals, tasks, and roles of the team. Scrum has a set of prescribed roles that allow structure to the project, yet has room for a shifting of assignments based on the timelines that evolve out of the process.